Women cocoa farmers are central to the sustainability of the cocoa supply chain and cocoa-growing communities. Although too often unrecognized and undervalued, women’s labor makes significant contributions to the amount of cocoa produced, which is under increasing demand. Empowering women cocoa farmers not only has a positive impact on the lives of women, men and communities, but also has a business advantage. When women have control over their own income or family earnings, they reinvest in their families, children and communities, increasing the well-being and the sustainability of cocoa-growing communities. 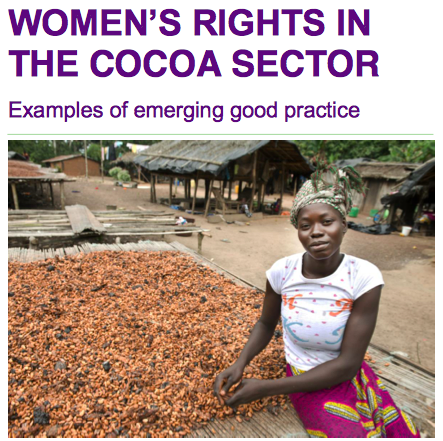 This report provides examples of emerging good practice to address gender equality in the cocoa sector and where there is potential to make even greater change.